With over thirty years of international experience, Dr Fishman introduced Intensive Structural Therapy to New Zealand in 2001. Dr. Fishman is the Clinical Director of Reconnect Family Services, a residential programme funded by the Department of Child, Youth and Family Service for youths with significant and longstanding emotional and behavioural problems. Dr. Fishman designs treatment programs to strengthen the family and the young person’s place within it. He also manages an outpatient client in West Auckland to provide therapy to children with less severe behavioural problems. From 2002 to 2005, Dr Fishman was the Clinical Director for Maori Mental Health Waitemata DHB (District Health Board). In this role he provided direct clinical care and developed programs to build a comprehensive system of care for the Maori community of West and North Auckland. Dr. Fishman has presented on eating disorders at the Royal College of Psychiatrists in London and at Harvard University in Boston and carried out over 240 workshops in US, Europe, New Zealand and Australia. He is the author of Enduring Change in Eating Disorders, which follows his treatment of cases of Anorexia Nervosa and Bulimia Nervosa with patients. Supported with qualitative data he discusses the five step model of Intensive Structural Therapy which is conducted with patients and their families, with follow-up interviews with patients that date back to 20 years post therapy. 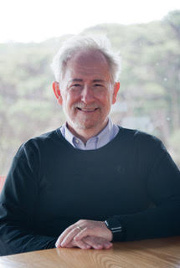 Other books which Dr. Fishman has published include Intensive Structural Therapy (1993), Treating Troubled Adolescents (1989), Evolving Models of Family Change (1986) with Dr. Bernice Rosman and Family Therapy Techniques (1981) with Salvador Minuchin. Dr. Fishman lives with in Auckland with his wife, Dr Tana Fishman.